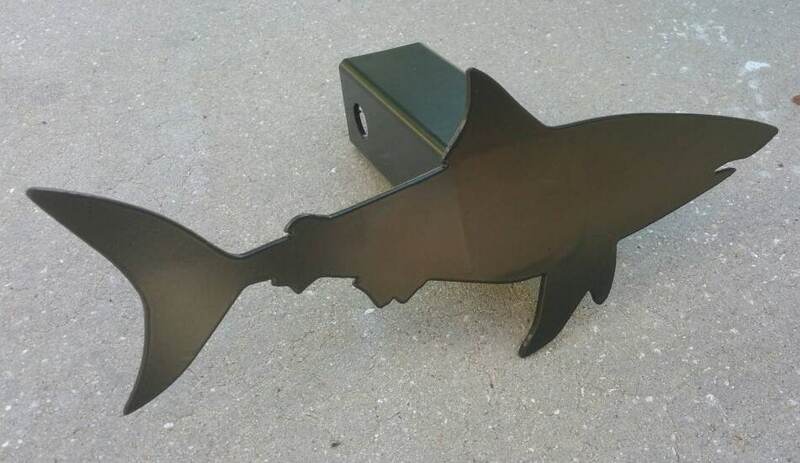 Be the envy of the other dads with your very own daddy shark bull shark trailer hitch cover. Add a bit of cool to your ride when you aren't dragging around a trailer full of toys. This one is a single layer/color. Gave this as a Christmas gift to my spouse and he absolutely loves it. The customer service was great and shipping very quick! I ordered a shark trailer hitch cover and it is awesome! I haven't seen another like it and it looks great! Great experience with this store and I will purchase again.